What is the best way to translate a website? I recommend using the best WordPress translation plugin – Weglot, which automatically translates your website to other popular languages which helps increase your traffic. This article is for those that want to increase their website traffic, make more money from their site, get onboard the multilingual SEO train, and rank higher on Google Search. This is one of the best ways to double or triple your website traffic because when your website is available in other languages, you can getting visitors from different parts of the world because they are now able to read your website content in their native language. With Multilingual SEO, you will reach a much wider audience from all over the world because your website content will be ranking for different keywords in different languages which means you are in the international SEO game. Just imagine, the same keyword is ranking in different languages, this means you would be getting 2x traffic or more depending on the number of languages your website has. You would rank higher in Google search because you would be providing adequate solutions to different search queries with different languages which exposes your website to millions of people and you can easily acquire some organic backlinks which would increase your organic traffic on Google. 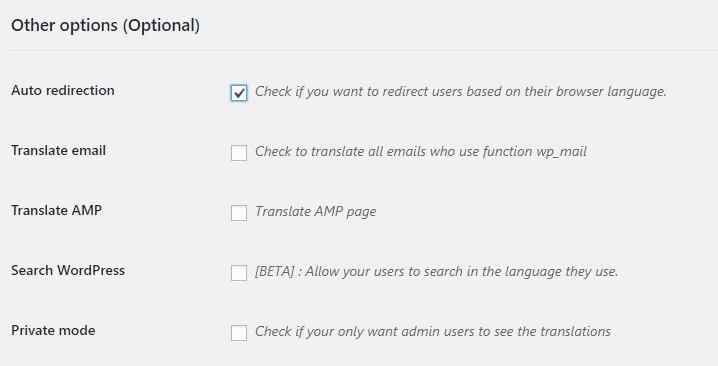 What is the Best WordPress Translation Plugin? Do you want to edit your Translations? People will always prefer their native language to other foreign languages because that’s what they grew up learning, it’s their culture, it’s their tradition and that’s why Google translate has over 100 languages which enable them to serve more than 500 million people daily. At January 2018, there are over 1.8 billion websites (1,805,260,010) in the world and Nairatips is part of them, so is your site(s). According to W3Techs, 54.1% of all websites are using English language since it’s seen as the universal language but the remaining 45.9% is shared among other languages. This means if your website is already in English language, you have a large 45.9% untapped traffic source which is blocked by a language barrier. This language barrier denies you from getting traffic from other countries, cultures, and languages. How it works is that if your website’s content is in English language, search engines like Google, Bing, Yahoo will show your content to English speaking individuals largely because the search query was done in English so it directs people to the content best for them which is also in English language and the same goes for other languages. So when someone searches in a different language, your website doesn’t show up if there are other websites in the same language as the search query. Search engines would want to match the search query’s language to a website with the same language for the best user experience. To break this language barrier and get shown to people from other countries searching with different languages, you need to use Weglot which is the best way to translate a website automatically. Did you know that the most spoken language in the World is Chinese? With Spanish as second and English as third. Well, it’s almost a given that Chinese is the most spoken language in the world because according to Wordometers, China’s population in 2019 is 1.4 billion (1,418,928,261) as at April 10, 2019. There are over 442 million people speaking Spanish and it’s the primary language in Spain, South, and Central America and is also widely spoken in the United Kingdom. So your website can get traffic from Spain, central and South America and even the UK. This says a lot to why you need to translate your website to other languages like Spanish, Chinese, Arabic and so on. Let’s go back to your website and how you can increase your website traffic by using the best WordPress translation plugin. Using Weglot to translate a website can greatly increase the organic search the site receives because it’s no longer ranking for one language. All the website content and keywords would automatically start ranking for the new languages you added to your site which means more explosive organic traffic from Google, Bing, Yahoo, and other search engines. This is where Multilingual SEO comes in play. 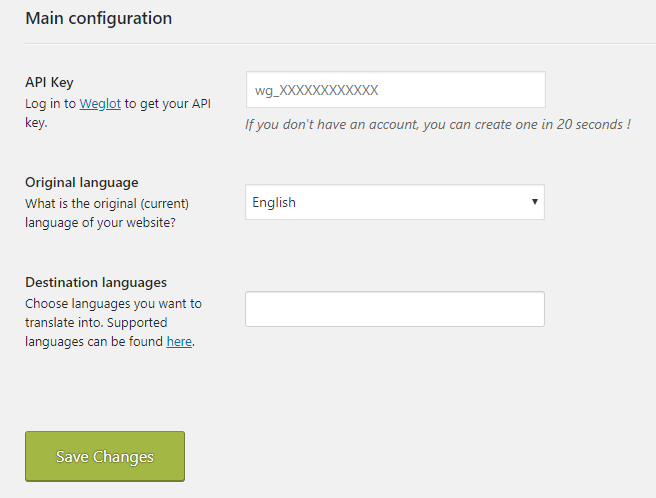 Your content will start to rank globally because you translated your site using Weglot. The popular saying “with more traffic, comes more money” is correct. It doesn’t matter how you monetized your site, with more organic traffic means more people are seeing your content and what that means is you get more exposure for your products, ads, affiliate products, etc. With Google AdSense, your CPC (cost per click) would get higher and you would get more ad clicks. That’s what most Adsense bloggers dream about. For Affiliate products/marketing blogs, you would get more potential customers as long as you use buyer intent keywords which would get you the right people already thinking of purchasing what you are reviewing, promoting or marketing. For successful bloggers with their own products, you would get more eyeballs on your courses and you will discover an entirely new audience which can be a whole new stream of income for you because all you would have to do is make translations for your courses to the new languages you getting requests from and watch the money roll in. 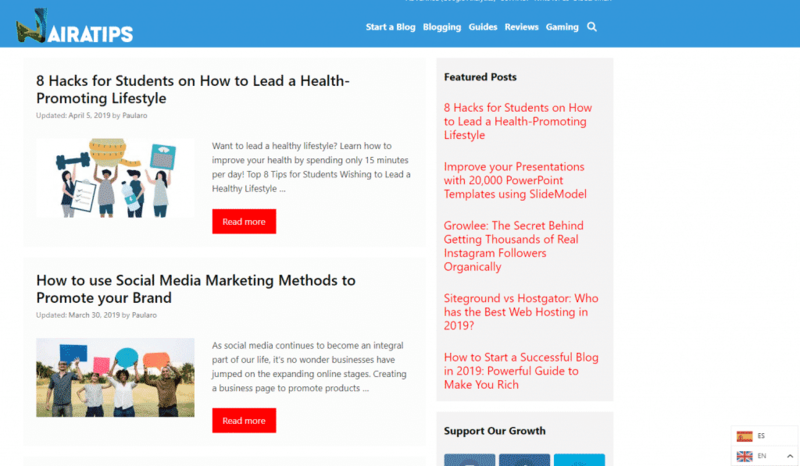 No matter what type of blog you have, it’s almost guaranteed that you would make more money from it as soon as you decide to translate your site using Weglot. 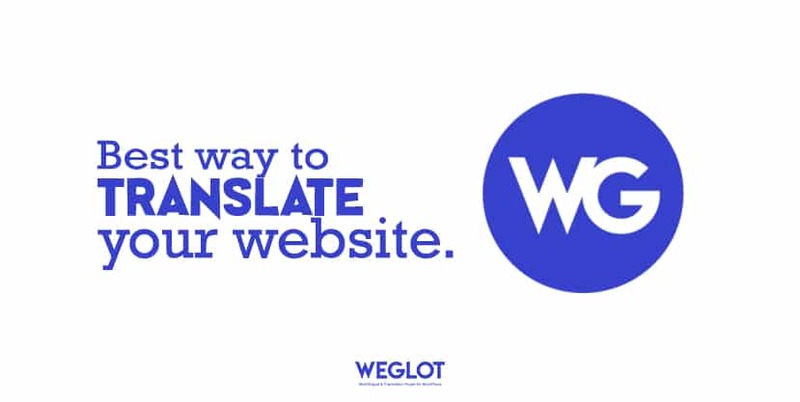 Because Weglot automatically translates your website. They use the best practices for Multilingual SEO which means your content ranks globally. They help you indexed your translated content making them rank faster on Google search. WordPress translation is professionally done easily and within minutes. They have a rock solid reputation in the WordPress community with a 4.9/5.0 rating and over 20,000 active WordPress installs making it the best way to translate a website automatically. 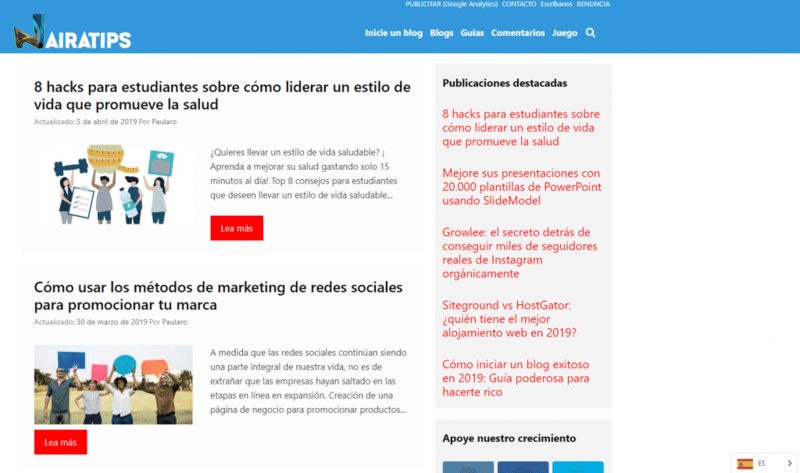 I must say that translating your WordPress site to other languages can be exciting because in less than 5 minutes, my site Nairatips became multilingual which means you can now view and read Nairatips in Spanish language. I was so excited that I shared the news “Nairatips is now available in Spanish Language #MultilingualSEO on all my social media accounts. So, it’s now time for you to translate your website to other languages using Weglot and everything will be done in less than 5 minutes, just follow my steps. I am assuming you already have a site with WordPress installed and you also have some blog posts published so this should be easy. Go to Plugin – Add New to go to the WordPress Plugin Page. 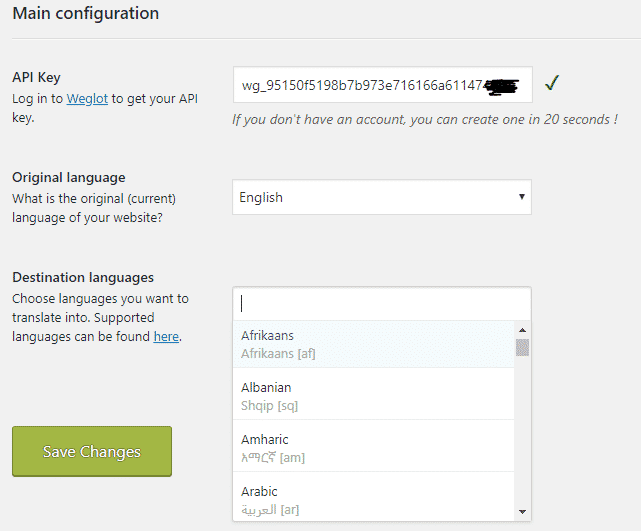 You just learnt how to search, install and activate Weglot WordPress Auto Translate Plugin on your site. We installed and activated the Weglot Translate Plugin in the previous step and now it’s time to configure the Weglot plugin. The estimated configuration time is 1 minute. By creating a free account on their registration page. 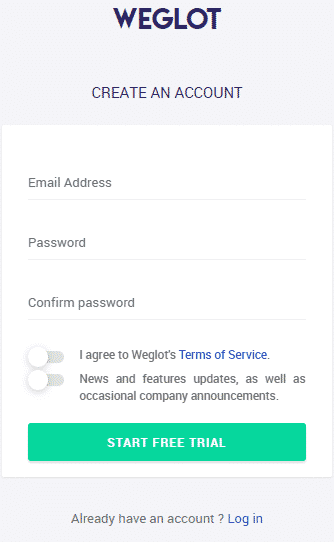 Create Weglot Free Trial Account. Enter a valid email address and a strong password. An activation mail will be sent to you for you to activate your account and get your valid API key. Choose the languages you want to translate your website to. For me, I choose Spanish just because I have been getting some Spanish comments on my blog which means there is more traffic to be acquired from that source. Click on Save Changes and Congratulations, your website has been translated to other languages. Nairatips is now available in Spanish Language #MultilingualSEO. In just 2 steps, your site went from being a one language only site to a multilingual site within 5 minutes! You can see where you need to go to change the language button position. By default, it goes to the bottom right corner in your site. I like the default language button design because it’s visible and simple. You can exclude a specific post, page, sidebar, menu, paragraphs and so on. Yes, it’s possible to edit your translations, add, edit or remove. You can do it all. Weglot provides more in-depth and flexible options for those people that want to get up close and personal to the translated words. Maybe to review them closely or get a more professional translation. Well this like the following can be done in the Weglot Translations dashboard page. You can view all the words that have been translated on your site and you can choose to edit them yourself. 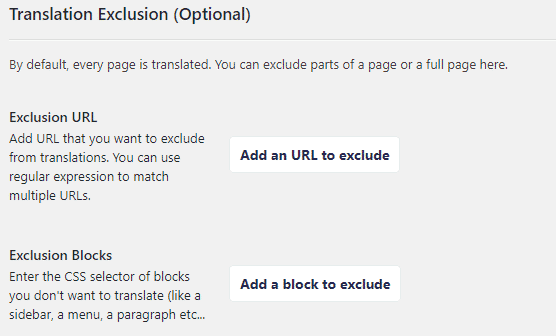 Here, you can add specific rules that will apply to all your translations. You can also search and replace words. You have the option to get a more professional translation for your website. By using the visual editor, you can browse your site in the original language and choose what specifically you want to translate or edit a translation. 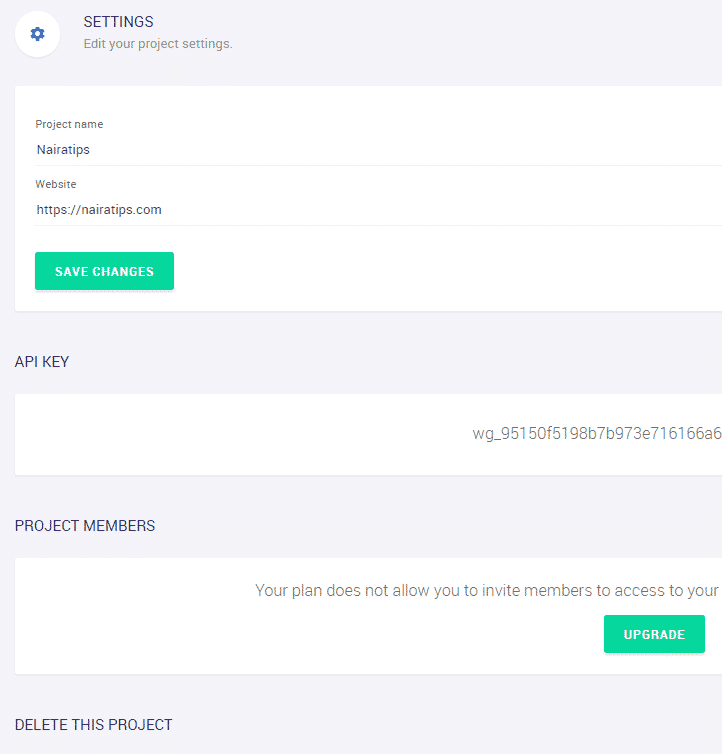 You can change your project name, website, view your API key, add project members and you have the option to delete the existing project. 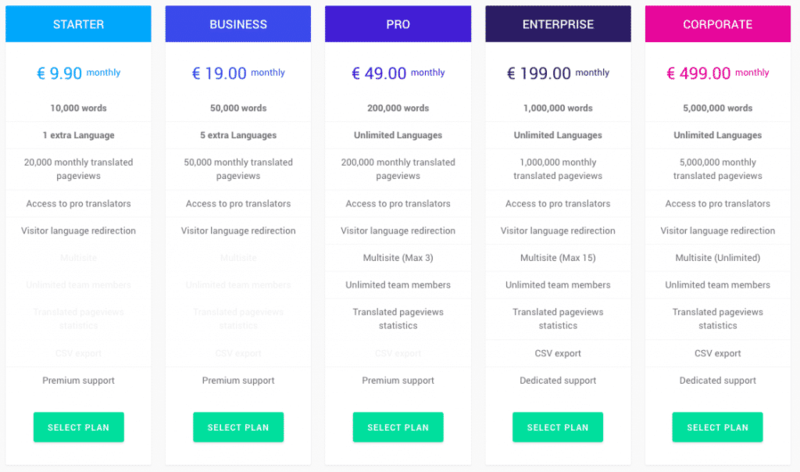 You can full access to Multilingual SEO and all it’s benefits when you subscribe for a premium Weglot plan which is as low was 9 pounds per month. To increase organic search traffic on your site by following the best Multilingual SEO practices which enable your content rank globally. To make more money from your site because people will buy content, courses that’s in their own language. To increase your Ad revenue because you would be getting more organic search traffic. To increases sales and get more people to buy the affiliate products you are recommending on your site when your buyer intent keywords start ranking with different languages. I recommend Weglot translate plugin as the best multilingual WordPress plugin you need to translate a website because you are going to be getting more organic traffic from more countries and it opens the door to making more money from your website. A wise man once said “More organic traffic = More money”.